Kelp contains a diverse variety of nutrients. Kelp is a type of edible seaweed or sea vegetable that’s commonly eaten in many Asian countries as part of salads, stir-fries and sushi rolls. It’s also commonly sold as a nutritional supplement, either in capsules, tablets or powders. Kelp grows in “kelp forests” within relatively shallow bodies of saltwater, usually close to shorelines. It’s often referred to as a “super-food” by nutritionists because of the wide variety of nutrients it contains. Seaweeds such as kelp contain many times more minerals than plants grown on land, sometimes as much as 50 times more, according to research conducted in the early 1950s. 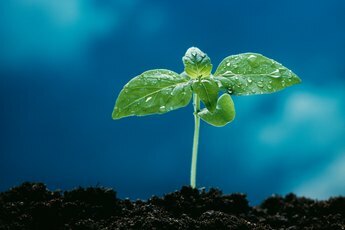 The reason is because seawater is much richer in types and amounts of minerals compared to fertile soil. Kelp can contain up to 92 different minerals, depending of the variety and where it’s harvested. Kelp is especially rich in calcium, potassium, magnesium, iron and iodine, although it’s also a very good source of sulfur, phosphorus, potassium and sodium. For example, 100 grams of kelp contains about 170 milligrams of calcium. The minerals in kelp are naturally chelated, which means they are attached to amino acids and possibly more bioavailable to your body. Kelp also contains numerous vitamins including vitamin D, which is very unusual for a plant. It contains other vitamins that are relatively uncommon in other plants and vegetables too, such as folate, vitamin A and vitamin B12. For example, 100 grams of kelp contains 180 micrograms of folate. As such, kelp is viewed as an essential dietary plant by many vegetarians. Kelp is also a good source of vitamin K and other B vitamins, and contains lesser amounts of vitamins C and E.
Kelp contains all the essential amino acids, which makes it a complete source of protein. It’s especially high in the amino acids tyrosine, alanine, aspartic acid, glutamate and glycine. Overall, 100 grams of kelp contain a little less than two grams of protein, which is decent, but not nearly as much as soybeans or quinoa, which are other plant sources of complete protein. 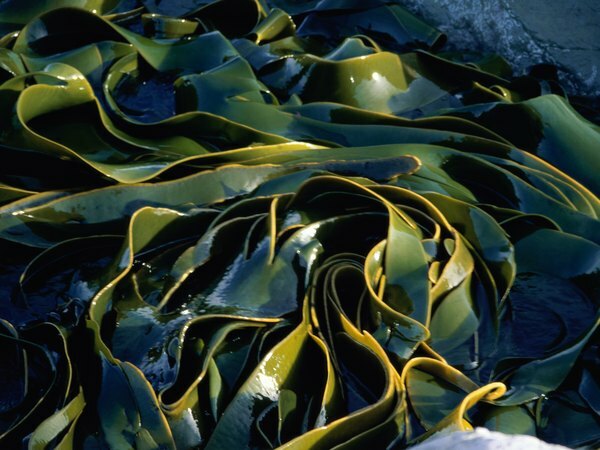 Kelp contains insignificant amounts of fat, mainly in the form of omega-6 fatty acids, and no cholesterol. As such, kelp is low-calorie with 100 grams providing just 40 calories. 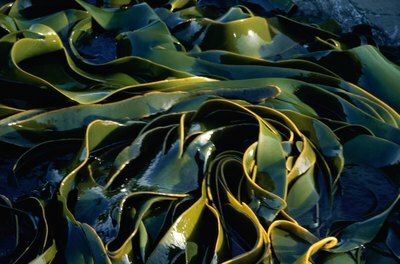 Not surprisingly, the main component of kelp by weight is calorie-free water. Kelp is the richest natural source of iodine, a nutrient that’s needed for the healthy functioning of your thyroid gland. However, ingesting too much iodine can cause an overproduction of thyroid hormones and lead to hyperthyroidism. Symptoms of hyperthyroidism include weight loss, oily skin, nervousness, nausea and insomnia, among others. Furthermore, kelp is also quite high in sodium, which in excessive amounts is linked to high blood pressure. 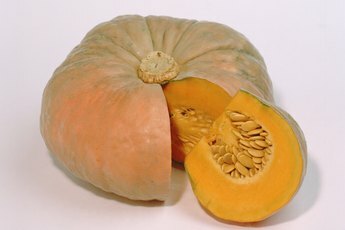 What Nutrients Does Pumpkin Seed Provide?